I was probably about 17 years old when I first started participating in strength training. That was quite a few years ago now (lol) and the way we approach strength training has changed dramatically. You see, I used to be a member of a local gym where I would go and do an assessment, get a program, be shown how to do it, then off I went on my own for 3 months until the next assessment. The program was stock standard…15-20 minutes cardio, maybe eight exercises on fixed equipment, crunches and a stretch. I was probably one of a handful of females in the gym who were actually doing strength training with most sweating it out in the aerobics room. Two evolutions happened in the fitness industry in the early 90’s that revolutionised how we approach strength training today. The first was the development of Personal Training. It’s hard to believe today that personal training only really came in to existence in the early 90’s. I remember being a gym instructor at the time and being absolutely blown away that someone would actually pay you to be their trainer. Looking back, I’m sure that we were the very first Personal Trainers in Melbourne! The second development was the discovery of functional strength training and its benefits. It happened slowly, but over about 10 years, combined with the growth of personal training, fixed gym equipment started to get the flick and all types of crazy functional equipment appeared on the market. By this stage I was well and truly in to Pilates and was using the Pilates principles with ALL of my personal training clients during their strength training sessions. 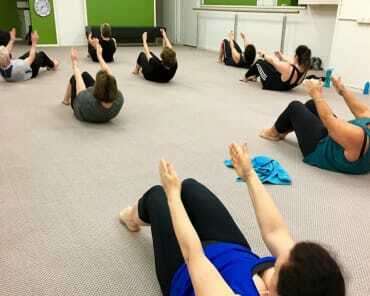 The combination of creating a strong, aligned and balanced body with great posture, long and strong muscles, with functional dynamic strength and the clients awareness of how to not only move their body in the right way, but how to incorporate Pilates in to their daily habits and life was a winning formula. So it got me thinking about how the fitness industry approach to functional strength and the pilates industry approach to postural strength are really aligned and work beautifully together…it’s just that nobody seems to realise it! Before I get to that, let’s talk about why Pilates is the “new” strong, (but not really “new” because it has been around for nearly 100 years). Pilates is a very unique way to work the body and there is no other strength training method like it. Pilates is about movement principles and is a philosophy of movement, not just about exercises. It is unique in its ability to develop the deep postural muscles, and the bigger “moving” muscles at the same time, thus creating structural integrity at the same time as power. You cannot create postural integrity by just doing functional strength training. Over the years, I’ve tried with myself and with clients…it doesn’t work, you need to learn and understand Pilates and then incorporate it in to the functional strength training. Pilates was originally created as a strength and fitness workout. Joseph Pilates had a dream. It was for everyone to experience the highest quality of life they could by being physically fit and capable of “performing everyday tasks with zest and zeal”. And so he created his mat exercises for people to do in their homes at no expense. And he practiced what he preached. A natural athlete, he participated in all sorts of activities from boxing, wrestling, skiing and many others. 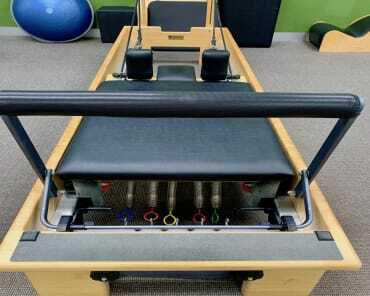 Over the years, the fitness aspect of Pilates has been over shadowed by the “injury/rehab” aspect of Pilates. 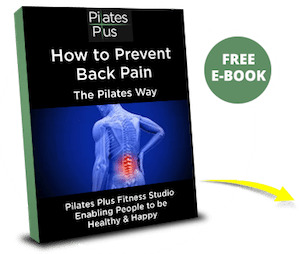 Don’t get me wrong, the ability of Pilates to overcome injuries is quite remarkable, but once you’re over the injury…you need to get strong and bullet proof! So to me, it just makes sense to take the best of both the Pilates and fitness industry and put them together to create a “new” approach to strength, fitness and wellness. 2. Learn what good movement is and how to create it in your own body. 6. Challenge your body…there is no finish line. The Pilates Plus team are dedicated to enabling our clients and as many people as we can to experience the “New Strong” that Pilates is. 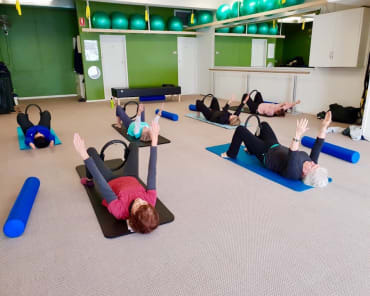 We believe that Pilates really is the foundation of all physical activit and we are just as passionate about it as Joseph Pilates was over 100 years ago. Come and check us out and experience the new strong yourself.